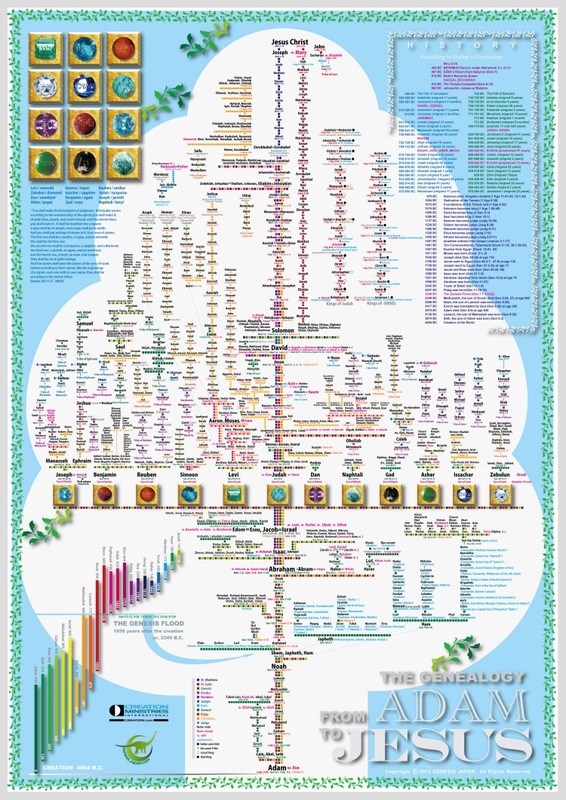 This magnificent, poster (840 x 595 mm / 33 x 23.5 in) shows the genealogical chart of the Old Testament, including the two lineages of Jesus back to Adam and the 12 tribes of Israel, successors to the throne of David, Kings of Israel and Judah, the Table of Nations, a brief chronology from creation to Malachi (after Ussher), the change of human lifespan from Adam to Jacob and the 12 stones on the breastplate of judgment (Exod. 28:15-21). It has a wealth of information and a great overview of the Old Testament. All individuals on the chart have the appropriate Scripture reference provided. When studying an Old Testament person, looking them up on this chart would help bring home the historicity of the Scriptures; bring it alive, in a sense, by placing the person in historical context. For a detailed sample of the poster click here (407k). This matt film laminated poster cannot be folded and will be supplied in a mailing tube which can hold up to 5 posters (at no additional cost, and posted separately to other items that you also order).